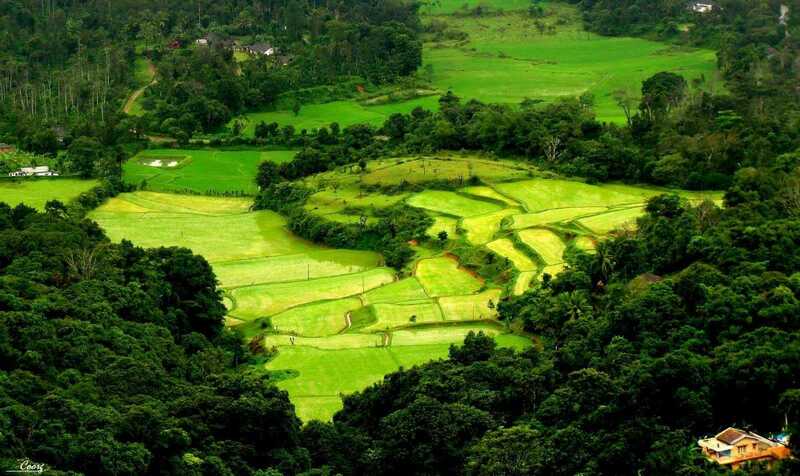 Coorg(Kodagu) is a small town in Southern Karnataka and referred as “Scotland of India”. When a small town is referred to Scotland. It needs no additional introduction. Coorg is gaining popularity and one of the most visiting destinations in India. Coorg is a serene place with a list of tourist spots like Abbi Falls where water flows from Western Ghats to Cauvery river and a Kali Mata temple nearby. Madikeri, a hill station complimented as Kashmir of South India, a pollution-free idealistic getaway. Omkareshwara temple resembles a Muslim Dargah. Bylakuppe, a biggest Tibetan community settlement you can see over here, Monastries, Momos, Handicrafts, You get a Tibetan touch. Coorg is a largest producer of coffee in India, You can see the coffee plantations. Dubare Elephant Camp, Local Wine & Many more. The Distance from Bangalore to Coorg is 243km & can reach around 6 hours of time. We simply adore the fact that, when you travel by a car, you're free to make a stop to indulge yourself in the beauty that the nature presents, enjoy the local culture and the cuisines it offers. Travelling is not only about visiting new places but also about rediscovering in the process. We live for the wonders we find in the journey, and exploring the road not taken. No city is too enormous or too little. The world is full of travellers for whom, wanderlust is the only way of enriching their soul. Be it the North, East, West or South; we make sure that you reach your destination making comfort and luxury your companion. So book Bangalore to Coorg Cabs with ProRido, leaving all your travel worries with us. Wherever you choose to travel, we have a chauffeur driven car ready for you that compliments your style. So recharge yourselves and start backpacking every weekend and let your senses enjoy the nature to the fullest. You may be a solo backpacker or a huge group of travellers, we have just the perfect Outstation taxi waiting for you from our wide range of fleet that includes Hatchbacks, Sedans, SUVS and even tempo travellers and mini busses.